In this video clip, Mike welds a dime-sized hole with Super Alloy 5. A definite must-see! Notice the technique: we approach the repair from the side when using oxyacetylene, to avoid overheating and melting thin aluminum. Rather than applying constant heat, the torch is moved away from the parent metal from time to time to allow the metal to cool slightly, solidify, and build upon itself. 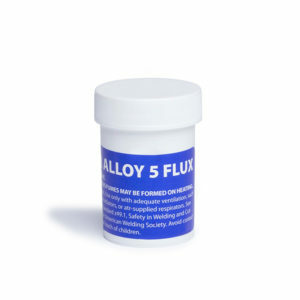 To increase bonding strength, always add flux every time you add rod.